I'm officially coded out. You may have noticed that the site was down on Friday and if you randomly visited the blog this weekend things may have looked a little wacky. I think I have all the bugs fixed so here's what has changed on the blog. New name and design: We're rebranding a little around here to make the general message of the blog a little less self centered. 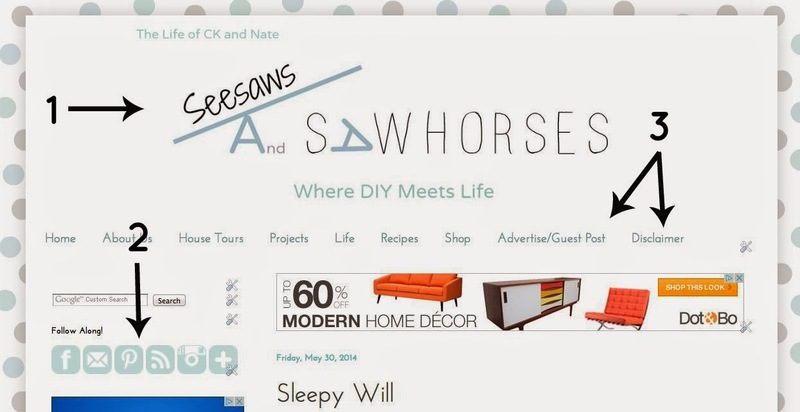 You can still get to the blog through www.ckandnate.com but you can also get here using www.seesawsandsawhorses.com. We spent awhile coming up with a name that encompasses the craziness of fitting in DIYing with playtime and life in general and I'm loving what we came up with and the header design to go with it. It says a lot with a little. We still have "The Life of CK and Nate" up at the top so you still know it's us but that will eventually be phased out. New Follow Along button design and a few new buttons. If you want to see more content than what I post here you can follow us on Facebook, Instagram and Pinterest. If you want to ask a specific question you can email and if you want to get our posts sent directly to you, you can use the Feedburner or Bloglovin buttons. You can now find our policy on advertising and guest posting as well as our disclaimer on the main tabs at the top of the page. If you have a product you want to promote on this site please don't hesitate to contact us about advertising. We'd love to work with you! 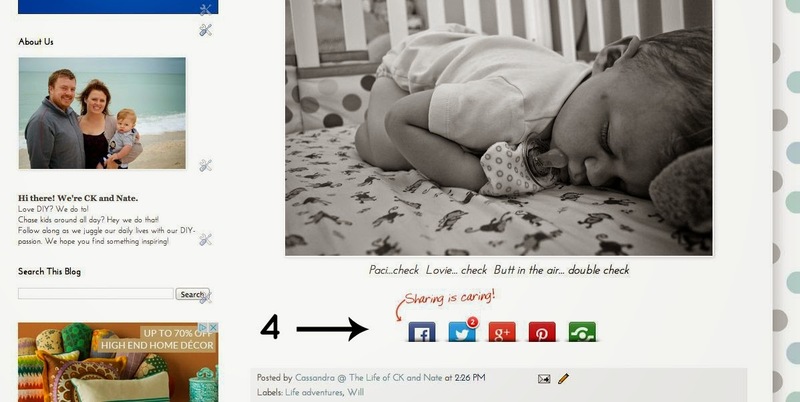 If you like one of our posts you can now easily share it by using the buttons at the bottom of each post. (not pictured) You can now also pin a specific picture by mousing over the pic an clicking on the "pin it" button at the top left corner. Few! Craziness right? I really hope you like the changes and that the new functionality makes your life a little easier. We hope to keep improving as we go but I'm hoping I don't need to look at any more code for at least a few days! Woot Woot! Look at y'all being all out on a limb...and taking it up a notch. I love your new look and your new name. I am however, scared to death of this type of thing. (change)... blech! just the thought makes my stomach queasy. I'm heading over to follow in Instagram! Thanks so much. It definitely took awhile to come around to this change and it still makes us nervous!